Wondering how much an electric unicycle should cost? We explain the reason why different models vary so much in price below. Prices for new electric unicycles can range from as little as $350 all the way up to $1,200! Why the big difference? There are 5 important factors. One of the most important factors in the price you pay is the brand name you choose to buy. 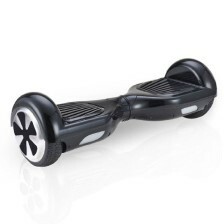 Better known brands such as Airwheel and Ninebot command premium prices (up to $500 more) over more generic models. However, just be aware that many generic models can be as good as the name brand one. You just need to be sure to read the reviews before trying them. There are a whole host of different designs of electric unicycles out there right now. They range from futuristic sleek white to dark, boxy and militaristic. Depending on your tastes, you may prefer one design over another. Just be aware that the underlying product can sometimes be the same, which means you’re paying up to $200 more just for the way the product looks. Besides brand name and design, battery life arguably is the biggest determinant of cost. Models such as the Ninebot One E+ can travel up to 22 miles (35 km) on a single charge whereas the SBU V3 can travel a little as 10 miles (16 km). In most, but not all, cases models with better battery life will cost more. Nevertheless, the cost can be worth it as most unicycles weight 20-30 lbs, which is a lot to carry if they run out of juice. But the extra cost can be as much as $300. Another rather important factor to consider is the engine power of the electric unicycle you’re considering. Top speeds can vary from as low as 8.6 MPH (14 km/h) all the way up to 14 MPH (22 km/h). So if you want to go faster, expect it to cost you (up to $300) a bit more (and just be sure to wear safety equipment). Finally, where you choose to buy your electric unicycle will also have a big impact on price. Many retail shops are charging a hefty premium to stock models, when you can buy the same one online for a lot less. Don’t believe us? Have a look at some of the models below.